The people involved in the making of the films listed on this website. Ron Fricke, the creator of Baraka, the cinematographer and editor on Godfrey Reggio's Koyaanisqatsi . 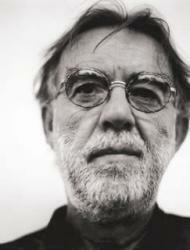 He then devised, directed, edited and co-produced Chronos in 1985. Chronos showed the beginnings of Fricke's passion that was to become Baraka. In 1986 Fricke created the IMAX film Sacred Site. A 7 minute film of Halley's Comet over Ayers Rock , Australia. Baraka was released in 1992, a film that took 14 months to film and a reported 5 years to devise. Mark Magidson is the producer, co-editor, co-writer on Samsara, Baraka and Chronos. 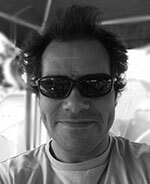 In the broad landscape of independent film production Mark has emerged as a unique filmmaker who has undertaken artistic projects that are epic in scale, entail great technical complexity and innovation, and transcend an ordinary view of the world. 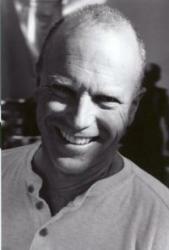 Michael Stearns, provided the music score to Ron Fricke's films Chronos and Baraka. He will probably contribute to Samsara, Ron Fricke's sequel to Baraka. 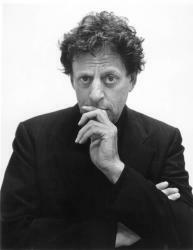 Philip Glass, composed, conducted and played music to Godfrey Reggio's films. His broad use of sounds, moods and instruments bought him to the attention of the film world.